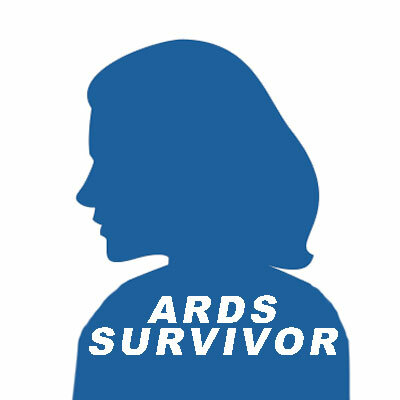 Kim’s ARDS story began on Sunday November 13th,1994. She was enjoying a Sunday afternoon, where she lived in Alabama, with family and friends. They were cooking out and watching the kids ride on the four wheelers. Kim was married at the time and her son was in the first grade. But she was just not feeling well. She had a kidney infection the week before so she presumed maybe that was making her ill. But she began to get worse, running a high fever and feeling feeling achy. Kim was an LPN at the time, so she knew that something was not quite right. At the emergency room, she was sent home and told that she had a stomach virus. However, the next day, her fever shot up so she went back to the emergency room. Once there, she was told that they were going to call her anyway because they learned that she had pneumonia. Kim was admitted to the hospital on a Monday and by Wednesday, she was in the ICU on a ventilator, in a drug induced coma. Her family was told that the doctors did not know what was wrong with Kim. At one point they told Kim’s family that her lungs were three quarters full of fluid and that she had only about a one percent chance of survival. Shortly thereafter, doctors diagnosed Kim with ARDS. She needed chest tubes on both sides and was in the drug induced coma until around Christmas. Finally, when Kim awoke, she could only move her neck back and forth. She could not even move a finger. Kim was twenty one years old, but so ill; she wondered if she would ever make it home to her son. Kim also remembered the day her son came in to see her and he was so frightened that she told them to take him out and not to bring him back while she was in this condition. It was heartbreaking to Kim, but to have her son have to see her like that was more heartbreaking. Eventually, Kim was moved to a rehab hospital on January 26, 1995. When she left the rehab facility, she was only able to walk a few feet and had to do so with oxygen. Kim was not sure what her prognosis would be, but she knew she was a walking and talking miracle. That being said, every two years it seemed she had one problem or another. Severe lung damage, critical illness, neuropathy, PTSD, and avascular necrosis in both ankles. Kim has had a right lower lobectomy due to sever damage and she has had to have her right ankle fused due to the necrosis. Kim said that she was a perfectly healthy twenty one year old woman with her whole life ahead of her, exercising all the time and living healthy and then suddenly, ARDS changed her life forever. She wants people to know that they should never take their lives for granted because in a split second, everything can change.